The Herbalife SKIN line is an all new addition to Herbalife‘s outer nutrition range of products that balances ingredients, botanicals, and extracts with proven science to achieve maximum daily results to ensure beautiful, healthier and younger-looking skin. . Herbalife SKIN consists of 10 unisex products which will be made available in selected markets across India from the middle of October 2014. Herbalife SKIN products have been formulated with an optimum blend of Vitamin B3 and antioxidant Vitamins C and E, and Aloe Vera to get softer, smoother, more radiant skin and diminish fine lines and wrinkles. Created to replenish and rejuvenate the skin with fast results, Herbalife SKIN has been clinically proven to produce visible results in just 7 days*.The Herbalife SKIN range is paraben-free, sulfate-free** and dermatologist tested. The Herbalife SKIN line is comprised of 10 new products, which include a Soothing Aloe Cleanser, Polishing Citrus Cleanser, Energizing Herbal Toner, Line Minimizing Serum, Firming Eye Gel, Hydrating Eye Cream, Daily Glow Moisturizer, Replenishing Night Cream, Instant Reveal Berry Scrub and Purifying Mint Clay Mask.Made with fruit extracts, essential oils, plant enzymes, chamomile, and antioxidant vitamins, the SKIN line is unisex and is suitable for all skin types, with the exception of two cleansers: Soothing Aloe Cleanser for normal to dry skin, and Polishing Citrus Cleanser for normal to oily skin. * 7 Day Results applicable to Line Minimizing Serum, Replenishing Night Cream, Daily Glow Moisturizer, Hydrating Eye Cream, Polishing Citrus Cleanser & Purifying Mint Clay Mask. **Applies to Polishing Citrus Cleanser, Soothing Aloe Cleanser, and Instant Reveal Berry Scrub. 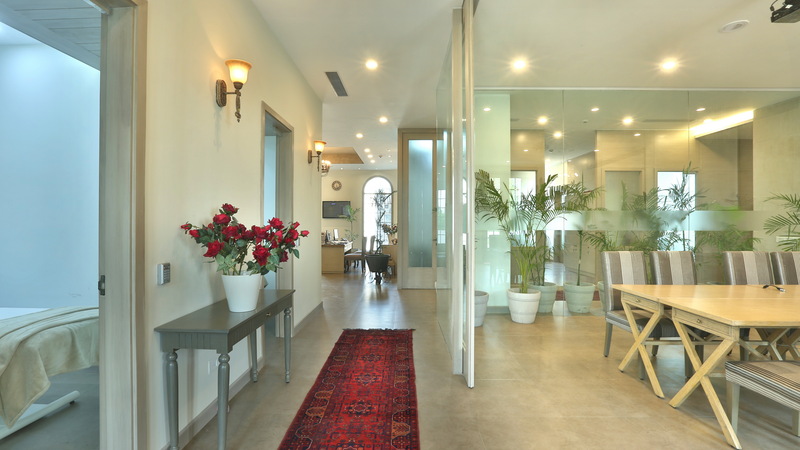 Spread over 4,400 sq feet and having 11 treatment rooms, walking in to AAYNA feels like walking into a boutique hotel, with vintage decor and old world charm, decorated by Dr.Simal Soin herself. Dr. Simal Soin is one of India’s leading cosmetic dermatologists. Apart from conventional therapeutics, she gained vast experience in cosmetic dermatology including the use of all modern laser equipment for treatment of variety of skin concerns, botox and various fillers. At Aayna, she oﬀers a team of world-class of dermatologists, aesthetic doctors and skin therapists, and to complement the looks, they also have an in house nutrition specialist. They also oﬀer us medical pedicures by Margaret Dabbs of London for the first time in India. After my consult with Dr.Soin, I was advised to try the Hydra Facial. For those of you who read the blog, know I have super sensitive skin and am filled with fear at the mention of someone touching my face with products. This fear has become even worst due to some recent development in Hormonal issues, for which I am on treatment and may end up going for an operation. After listening to my fear and issues, I was first given a consult with Dr.Gargi, the in house nutritionist to plan a diet chart for me to help me lose the weight I have put on and generally keep me healthier. I felt slightly better after this, as she convinced me a lot of my weight gain, mood swings and skin issues are to do with my Hormonal issues, and should get sorted after the treatment and operation (if reqd). So now I felt relieved and was mentally more prepared to go in for the Hydra Facial. The HydraFacial treatment is a non-invasive, painless serum based treatment performed under medical guidance, which gives a customized solution for all skin types. Hydration is the core of beautiful, luminous skin.The Hydra Facial is hydrating treatment which gives an instant glow and assists in reducing the appearance of fine lines, wrinkles, blocked up and enlarged pores, sensitive or acne-prone skin, brown spots and hyper pigmentation. Extractions – Painless, quick extraction of blackheads & whiteheads with a special vacuum tip. Hydration – Vortex fusion technology for deep penetration of antioxidants and hyaluronic acid, which help hydrate skin and reduce signs of aging. Protection – The Hydrafacial range of products used during the treatment include a special sunscreen which looks invisible on skin and helps sustain and secure treatment results. Yoga has been a fitness trend for the past few years, centuries actually if you live in India, but the world too has opened up to yoga a few years back and accepted it as a way of life. The century-old practice includes yoga postures (asanas), breathing techniques (pranayamas) and meditation. Through these, the body, mind and breath come in harmony with each other and that very moment yoga happens. The practice of yoga has immense benefits for not just the body but also the mind so that you enjoy a perfect healthy state of being. The practice of Yoga has various benefits from weight loss, controlling diabetes, better time management, freedom from anger, effective communication to creativity at work. We have found a few yoga options you can try out for a healthier lifestyle. TAYS is a playful laboratory where you can experiment with your breath and body. 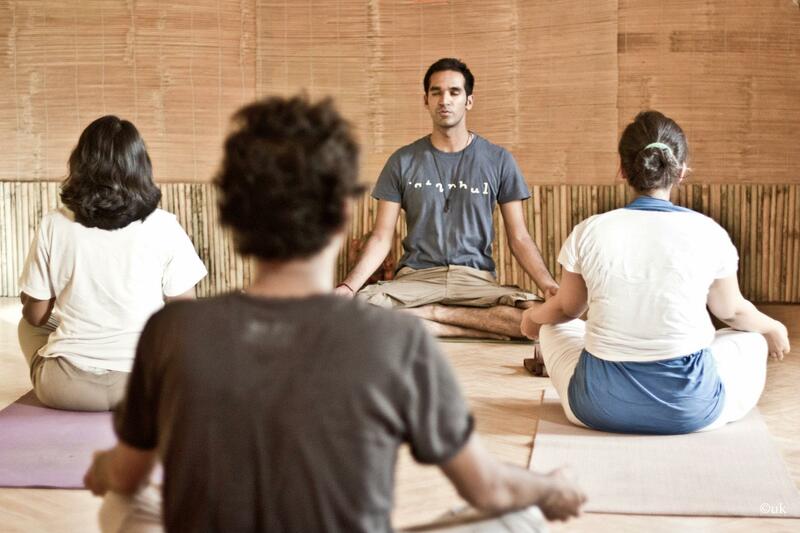 At TAYS, you get to understand your body and open your mind up under the guidance of Yoga professionals. Zubin Atre is the young and highly-motivated owner of TAYS. He is committed to the wellbeing of his students at both the physical and mental realms. A few sessions can help him identify the individual’s specific problems leading him to design tailor-made combinations of yoga postures for his students. Zubin has even shared the wonders of practicing yoga at the workplace, and regularly conducts seminars at business schools, corporate institutions, international organisations and non-governmental organisations. If it’s yoga classes that you’re looking for, then TAYS is definitely the place for you. 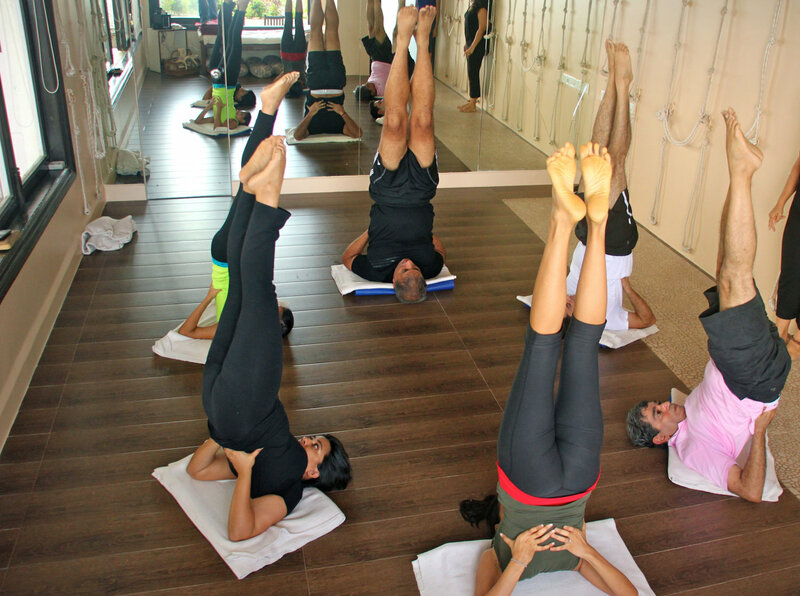 TAYS offers tailor-made yoga programs designed to suit your specific body requirements and your lifestyle. TAYS offers a unique range of yoga services that are handcrafted and developed by the professionals for the clients, keeping in mind any special requirement you may have. 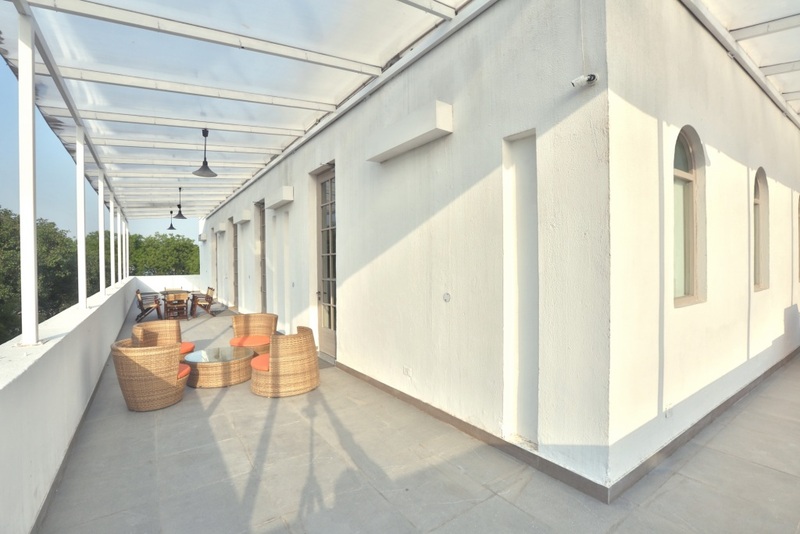 One of them is a 1PM yoga session which gives Shahpur Jat employees the chance to sneak-in some yoga at lunchtime, and the other is Sitar & Yoga at The Atre Yoga Studio, where Zubin Atré silently conducts the session as participants follow the flow to music improvised by Galen Passen on the sitar. Viewers are invited to meditate in silence on the music and movement. If you are in Mumbai, don’t fret, we have a solution for you there as well. Yogācāra Healing Arts started by Radhika Vachani in 2010 at Mahalaxmi, now expands to open a first of its kind Yoga and Ayurveda Wellness Center in Bandra, off Carter Road. Yogācāra offers holistic healing solutions guided by the ancient disciplines of Yoga, Meditation, Ayurveda and Panchakarma treatments. The experience begins with Dr. Ruchi, or a Wellness Consultant who takes the time to understand your wellness and health challenges, lifestyle and needs. Yogācāra then develops a wellness plan to suit your individual needs, and provides you the needed support on a mental, physical and emotional level to help clients heal, and incorporate sustainable changes towards a happier, healthier and more balanced way of living .A very important element added to the wellness services at Yogācāra is the Ayurveda and Panchakarma section, headed by Dr.Ruchi Upadhyay MD, and on their panel of specialists, Dr. Uday and Dr. Madhura Kulkarni, respected and long time practitioners of Ayurveda and Panchkarma, and Founders of “Arogyadham”. Ayurveda is an ancient Indian medical Science based on the premise that the universe is made up of five elements: air, water, fire, earth and ether. These elements are represented in humans as three “doshas” or energies known as Vata, Pitta, and Kapha. Ayurveda stresses a balance of these three elemental energies: Vayu/Vata (air and space-“wind”), pitta (fire & water -“bile”), and Kapha (water & earth-“phlegm”). When any of the doshas accumulate in the body beyond the desirable limit, the body loses its balance and disease manifests. Hence balancing these three doshas in our bodies becomes essential. Both Yoga and Ayurveda go hand in hand for a complete wellness of a person. So if you haven’t started yet, I suggest you find Yoga at the earliest for a healthier life. 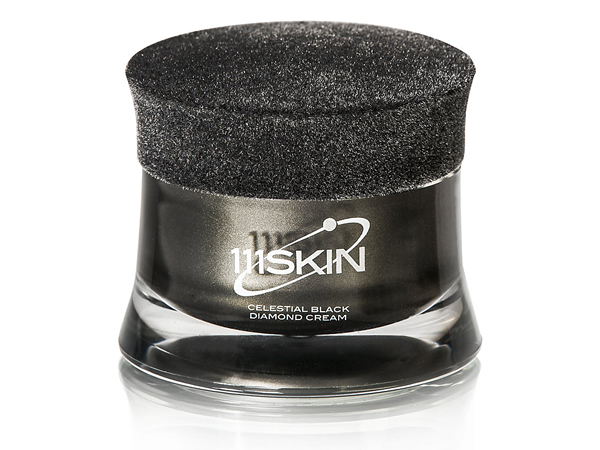 All of us love to look good and present ourselves in the best light.Younger looking skin is a sure way to assure that and 111 Skin, the ground breaking label has created an extraordinary product “Celestial Black Diamond Night Cream” that promises to keep your skin healthy and visibly younger. The regular ingredients in the cream are Hyaluronic acid, N-cystine and Centella Asiatica that work effectively on the three layers of skin to replenish and rebuild the cells matrix. But the new element to the concept of skin care are rare black diamond particles that are believed to have formed in space. The black diamond particles are basically microspheres and that’s why they are able to penetrate the deeper dermal layer of the skin helping the skin retain its youth. Well ladies, what are we waiting for, now it seems like a solitaire is good on your finger and black diamond is good for your face. Price– 50ml bottle at $900. Going organic and going green seems to be the new mantra these days and if you are not doing that you seem to be a social pariah. This holds true for everything from what you wear to what you eat and what you apply on your skin. As intimidating as it sounds it really is not so tough as we have a lot of natural ingredients which are easily available and simple to use with great benefits, one of them being Coconut. Coconut has a ton of health and beauty benefit, in fact each element from the Coconut water, to Coconut milk to eating coconut have its own individual benefits. Here we have noted a few of the benefits. 1. Coconut is a potent anti-bacterial and anti-fungal it is a great cleanser of our guts. 2. They can boost thyroid function by up to 20% which means it helps boosting our metabolism and energy production. 3. Coconut water is again an amazing substance, this stuff has an array of health benefits firstly it is low in carbs and sugars and one of the best hydrators, fluid replacers known to man. 4. 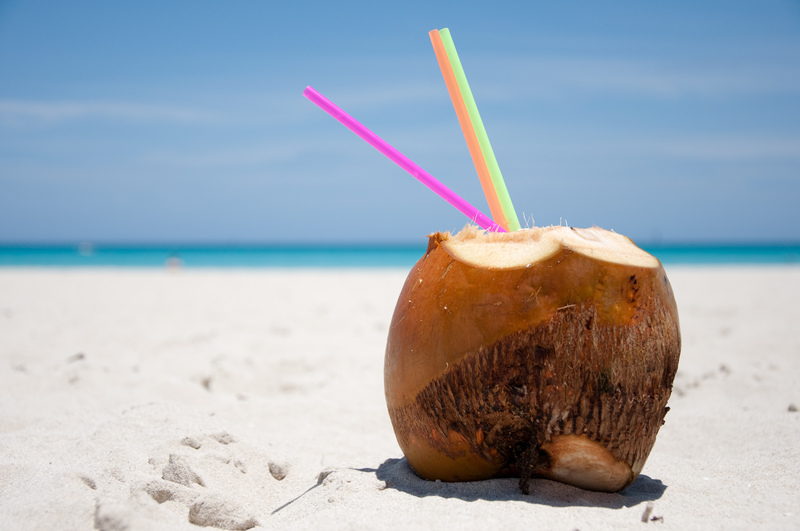 Eating coconuts also supports the development of strong, healthy bones and teeth. 5. 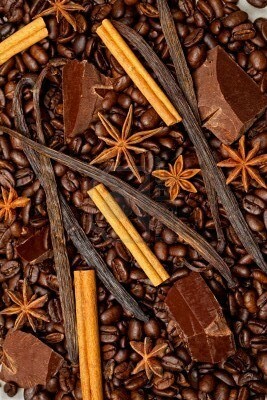 It also helps hair to become more healthy and lustrous. 6. The oil is excellent for keeping one young and beautiful. Its antioxidant properties slow down the aging process by protecting the body from harmful free radicals. Exfoliate: Fatty acids present in coconut milk ensure that you can use it to exfoliate your skin, without stripping it of its natural oils. Make two very effective full-body scrubs by mixing equal parts of coconut milk with sugar or mixing roasted and chopped almonds and honey in coconut milk and apply it on your face and neck. Leave it on till it dries a bit, before washing it off. You will be left with supple, glowing skin that you can confidently flaunt to a rapt audience. Cleanse: Fatty acids present in coconut milk are a reason why it makes a great cleanser. Coconut milk can be used to clean your skin of the dirt that collects on it in the course of the day. Lotions, on the other hand, are a popular means to remove make-up. Thus, it is only natural to opt for a coconut milk based lotion, since you will be able to free your skin not only of all cosmetics, but grime and dirt too. Moisturize: Coconut milk is all our skin needs for daily moisturization. The natural miracle fruit is known to have eminent soothing properties that help instantly replace lost moisture in dehydrated skin. The natural collagen found in coconut is an excellent remedy for dry skin as its plumps the skin rendering instant softness. It is also a good ingredient to add into face masks. Another trade secret is that coconut milk based lotions are highly recommended in moisturizing our feet, elbows and knees – essentially, any part of your body that could use some extra moisturization. The easy and quick absorption property of coconut milk based moisture onto our skin is advantageous in case of being used on the feet.